Click here to conduct a property search. Visual Instructions: The screenshots below show you how to enter the information and what the output screens should look like. 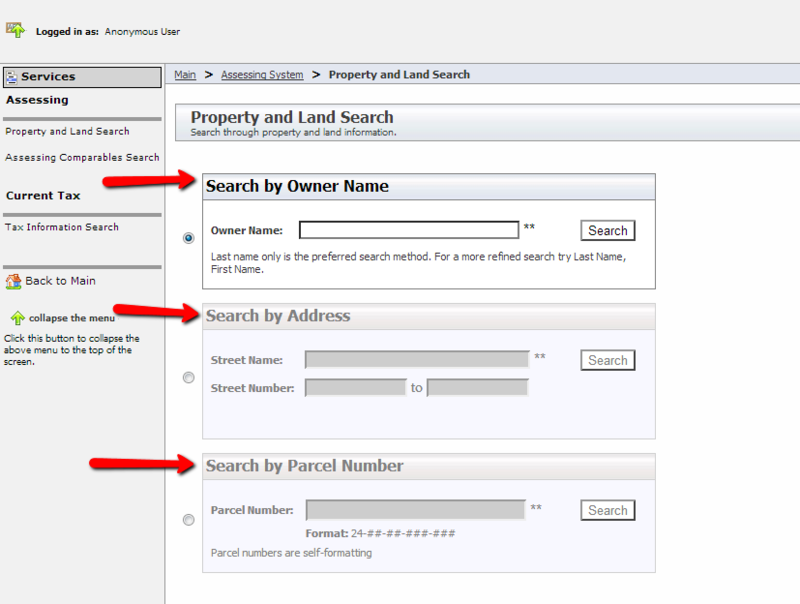 Main Screen Option: Search by owner name, address, or parcel number. Most units have names entered in the 'Last Name, First Name' format. 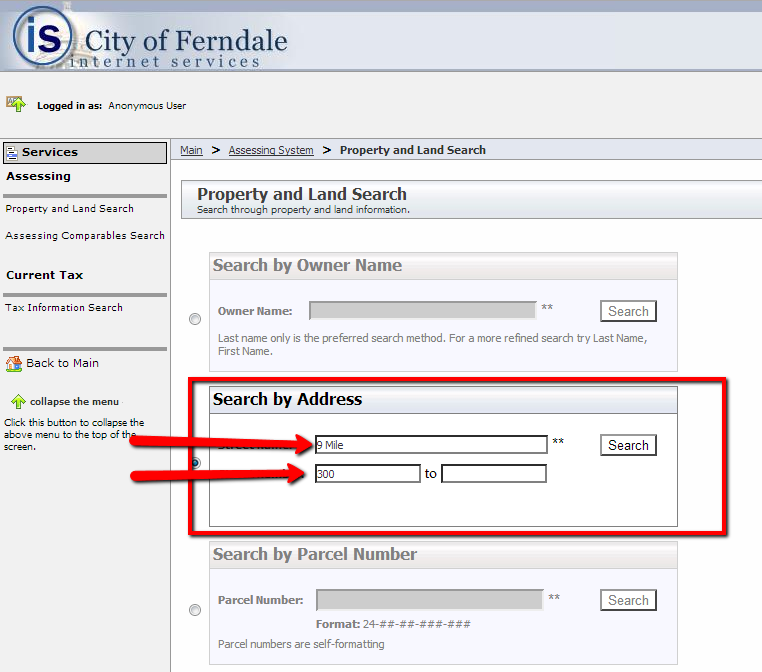 Search by Address Screen: Search by Address: do not include the words 'Road', 'Boulevard', or 'Street' in the street name. Most units use 'Rd', 'Blvd', or 'St', if anything.